As the kids get older, it seems like it's harder and harder to fill their stockings with things they'll like! The Bigs are 11 and 12 now; not quite teenagers, but not little kids anymore! I hate buying piddly-crap just to fill a stocking, it seems like such a waste of money! 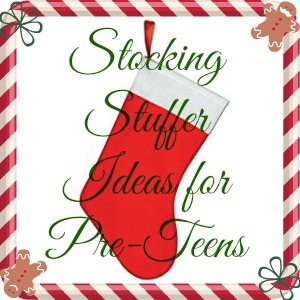 So here's a list of Stocking Stuffer Ideas to help keep your holidays stress-free! 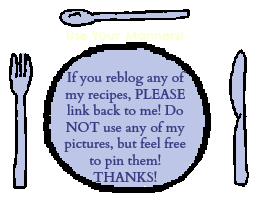 Various "coupons" ie: ice cream with dad, extra screen time, etc. Pre-teens tend to be sensitive and can embarrass easily... nothing more embarrassing than opening a stocking full of things that say "Santa thinks you stink!" 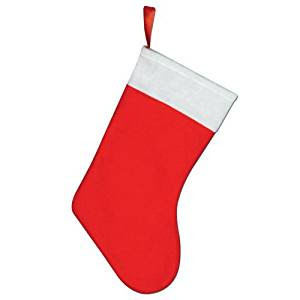 Do you have family traditions when it comes to stockings?